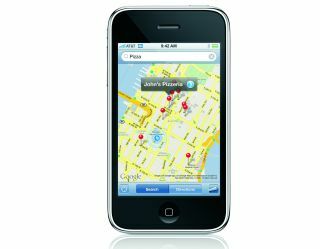 The iPhone 3G has hit, and there’s a very real chance this may be the 75th article you’ve read on the subject. But what are the professional bloggers, those who are really in the know, saying about the new device? Overall I felt like the WWDC keynote was a let down and full of more fluff than actual useful information. Just a lot of "look at the cool stuff we can do" type of things. Some high points, though, were the much anticipated 3G speed increase and the price drop. I think at the end of the day, the most significant announcement was the price drop. That price point is absurdly competitive for the features the iPhone offers and anyone who has been teetering on the edge of getting one practically has no choice at this point. The price is just too good. On the other hand, I would have appreciated some Mac-related announcements but I can understand it possibly wasn't the good timing. Probably Snow Leopard isn't a big deal after all, I've been told it could be a free update but we'll see. MobileMe also sounds quite impressive; a major upgrade was really needed in that area and Apple appears to have addressed that very well. Finally, we all noticed how Apple is slowly starting to put some focus on the enterprise market, bringing up typical topics like security. There's probably a long road to go before they're accepted in that very requiring market but it certainly is a huge opportunity for them. I see the iPhone playing the same Trojan-horse role the iPod played, bringing in the consumer market to the Mac. The only surprising thing was the lack of surprise - there seemed to be no decent ‘one more thing’ announcement at the end. The 3G speeds, the GPS, the Apps weren’t exactly earth shattering. In fact, they were the minimum Jobs could have got away with when unveiling the new device. It seems the world, in its clamouring for the new device, has glossed over the fact the camera is still the same old 2MP device and no haptic feedback or MMS support, which are such blindingly large problems it’s bizarre nobody seems to care. Contact search is going to be available…wow. The new iPhone is going to take off purely on the price point and the App store. The application side of things could be interesting…if Apple really get this platform right it could be a huge driver in sales. Overall, I’d give the whole announcement a 6/10, and two of those points were gained from dropping the price so significantly.